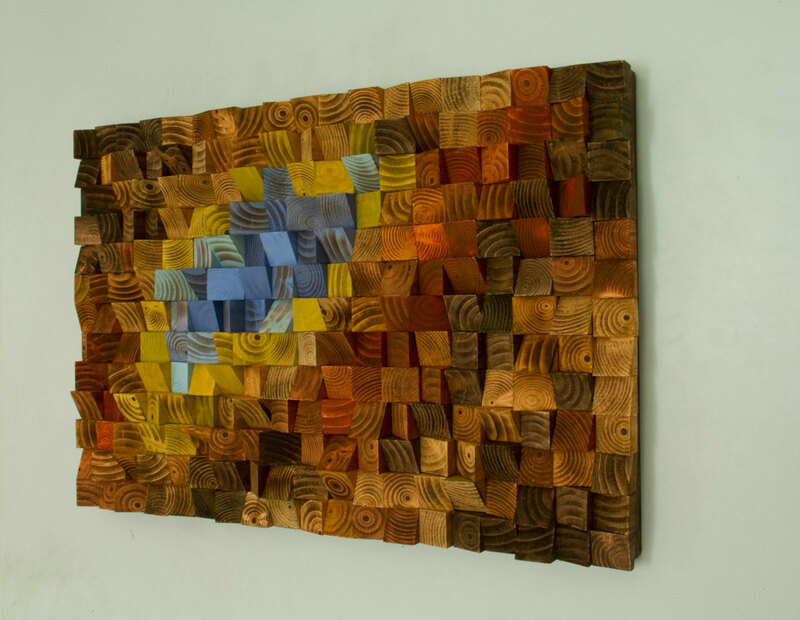 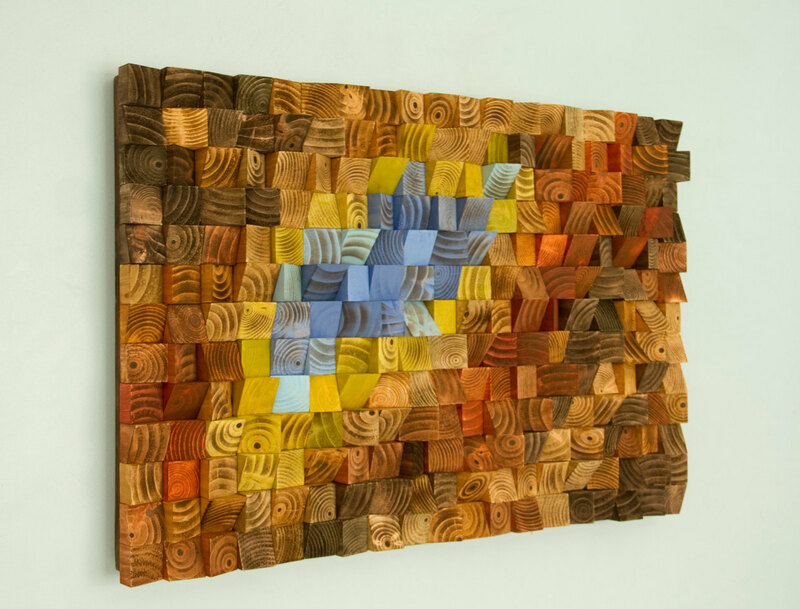 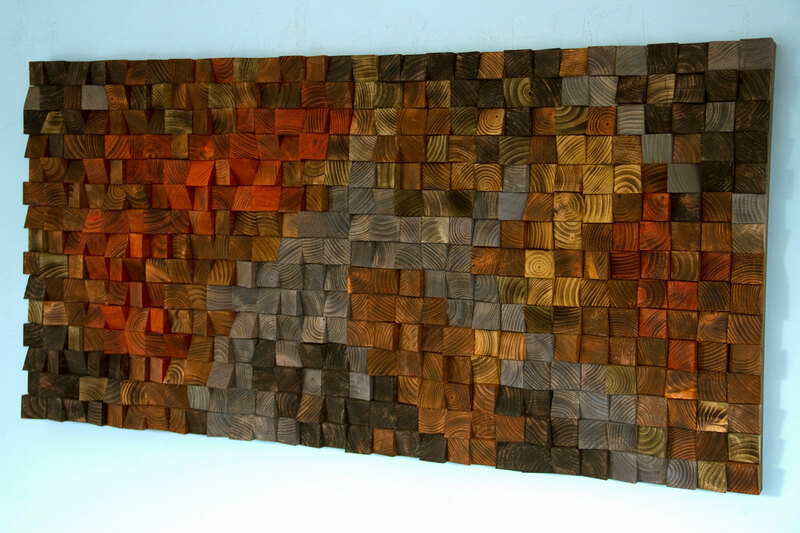 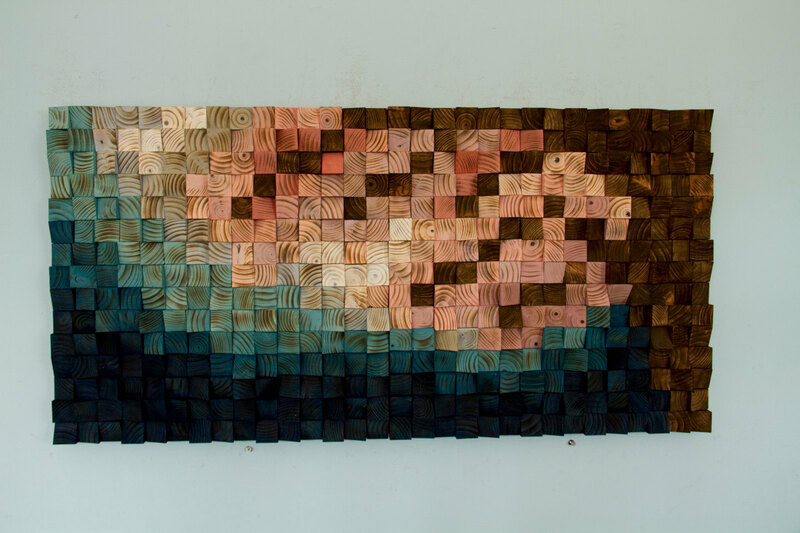 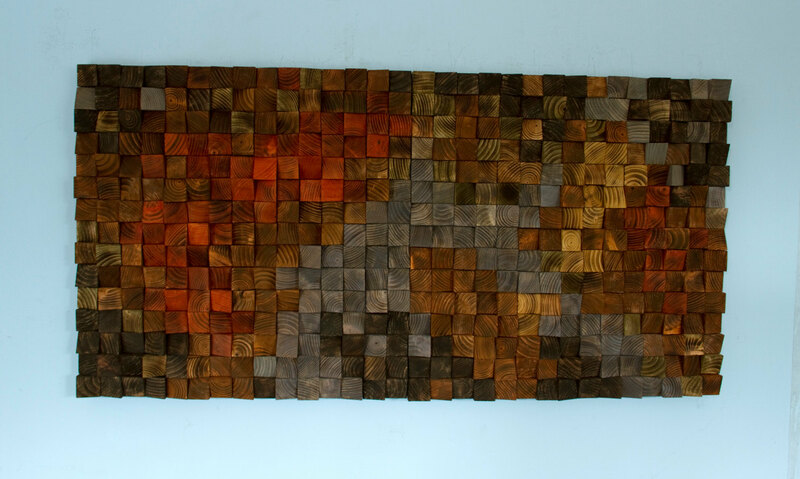 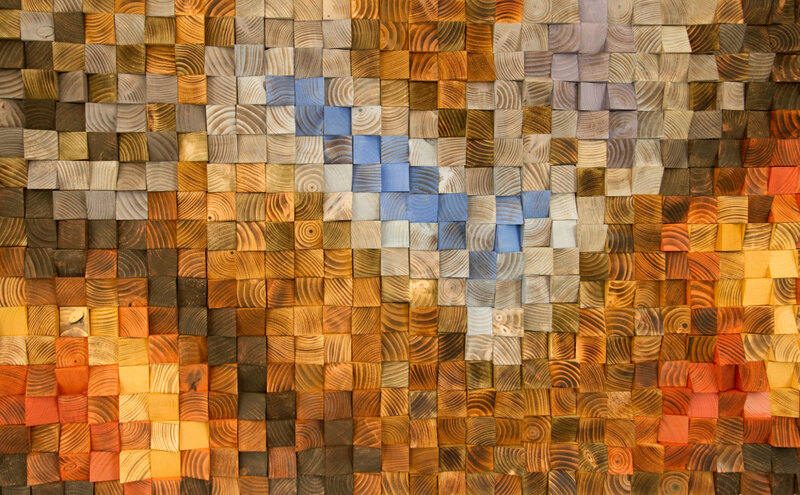 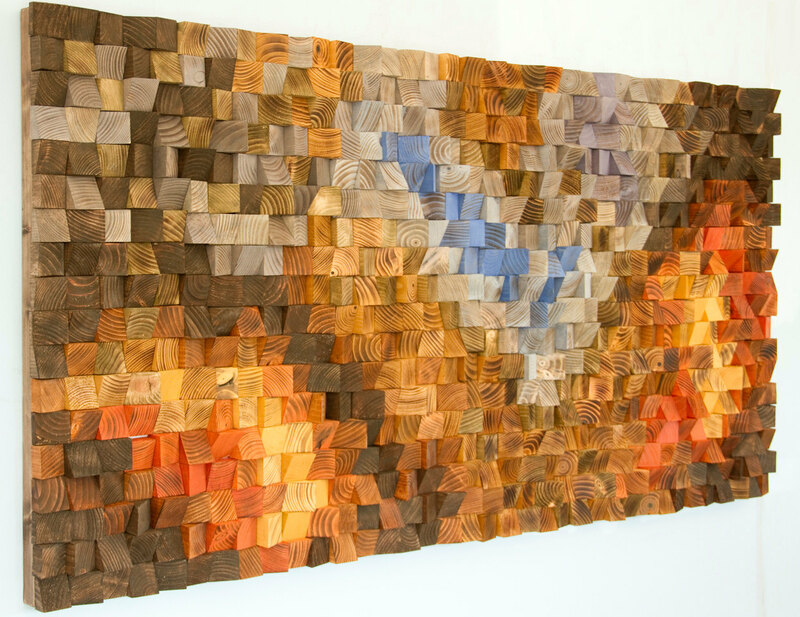 Choose an option20" x 60"24" x 48"24" x 64"
Wood Wall Art, 3D Wall sculpture is made from recycled wood pieces. 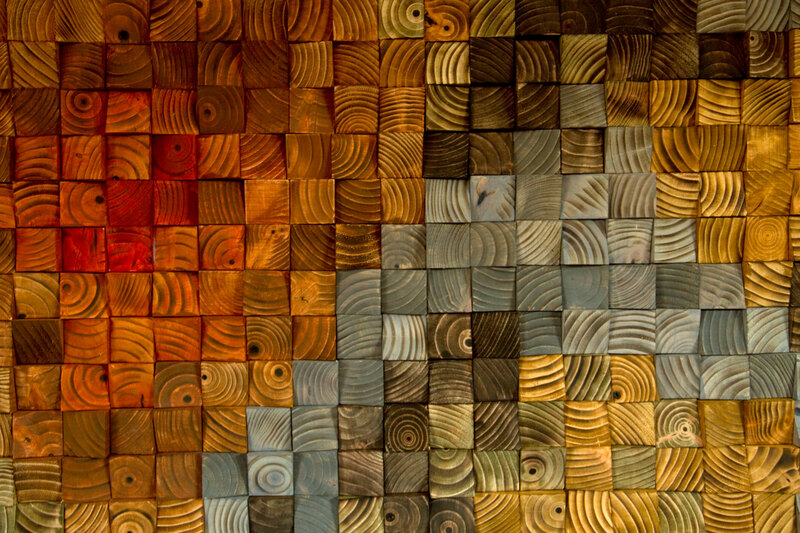 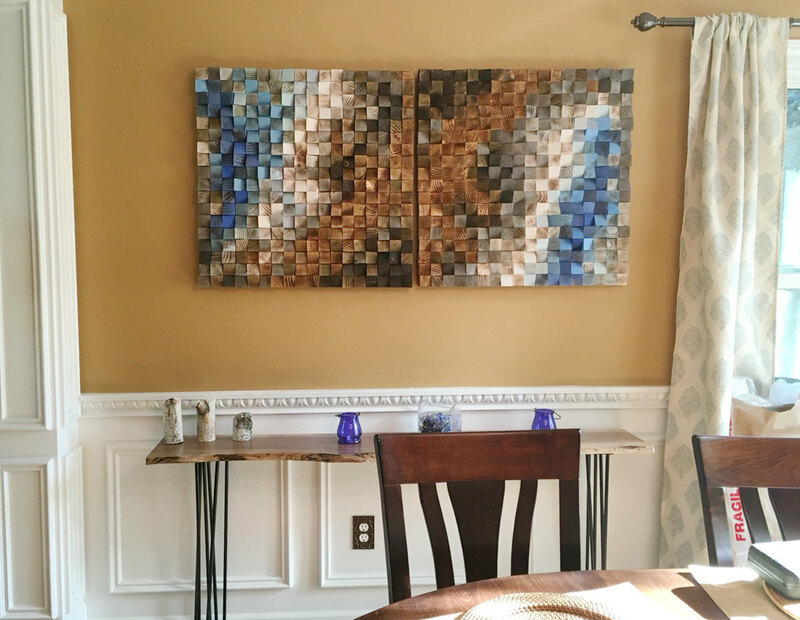 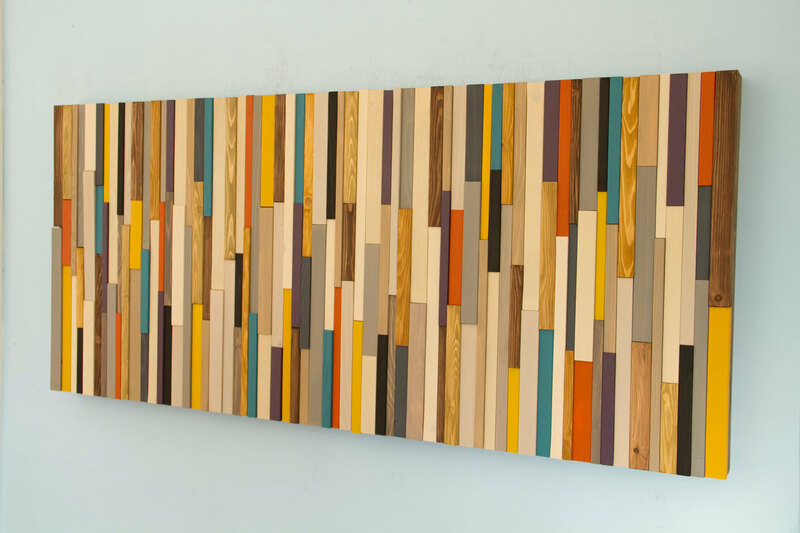 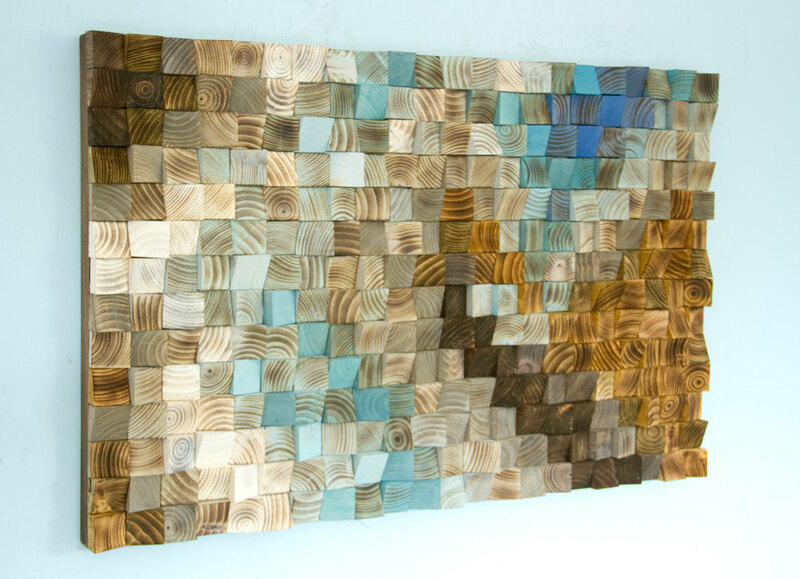 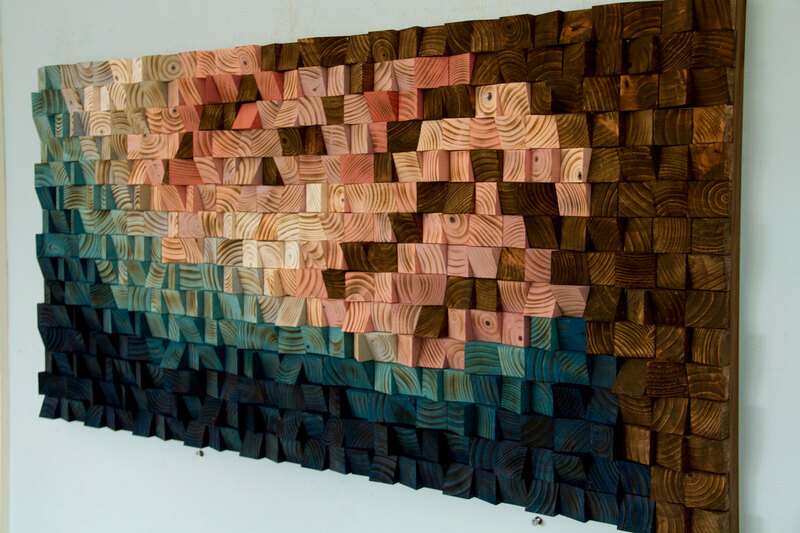 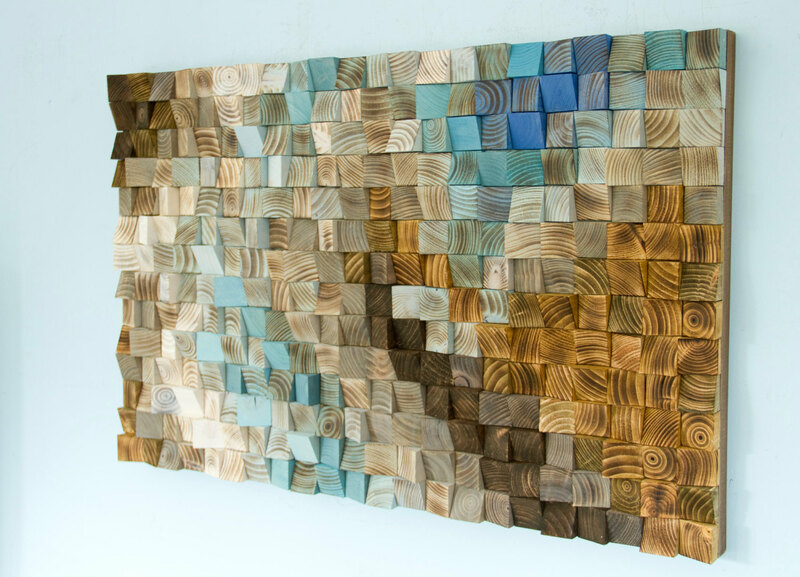 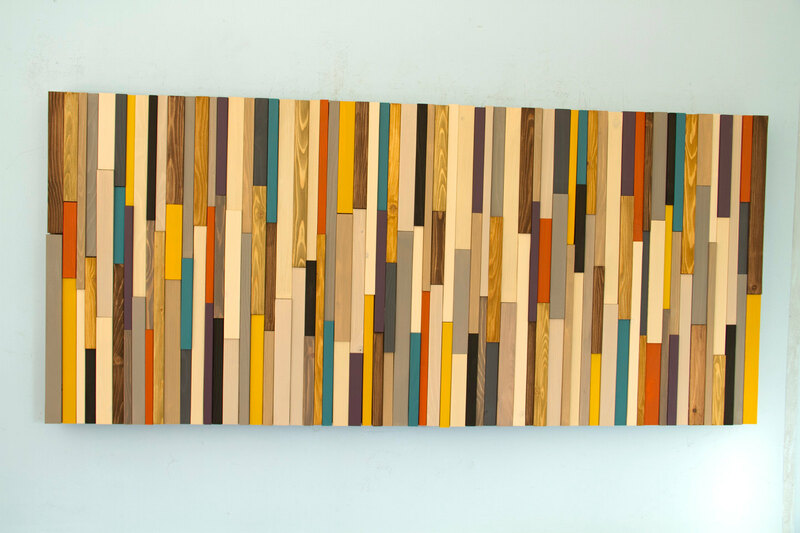 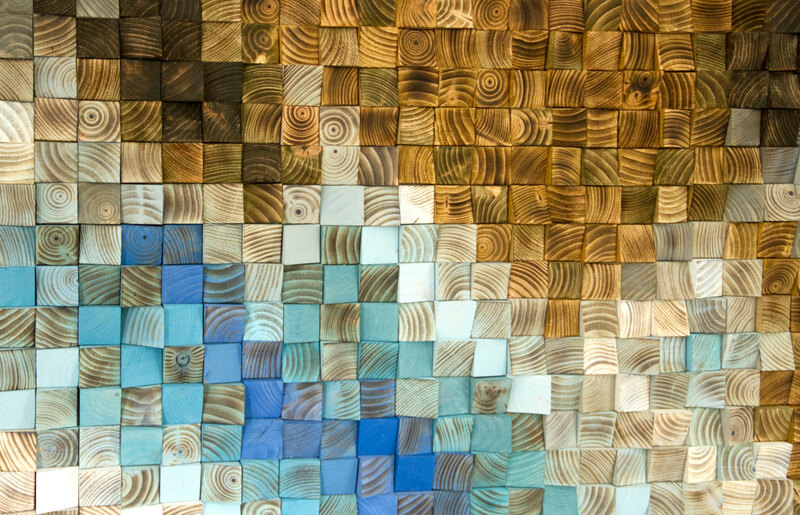 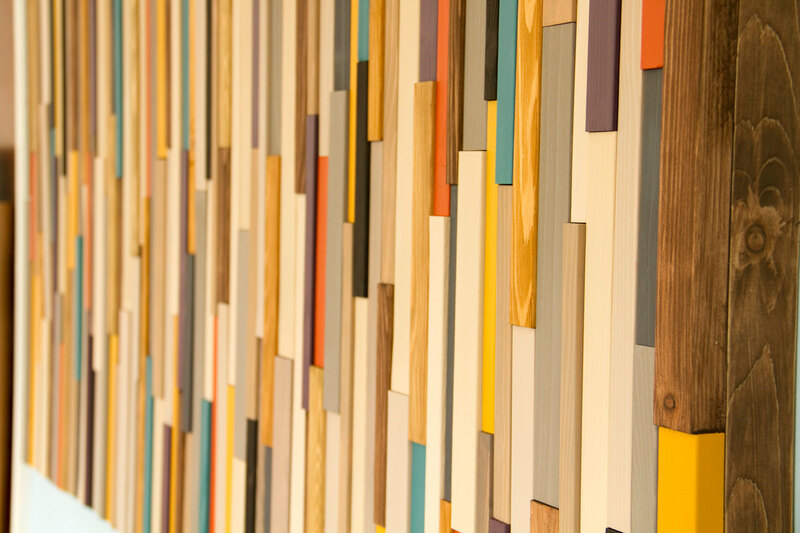 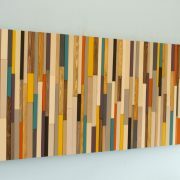 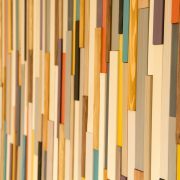 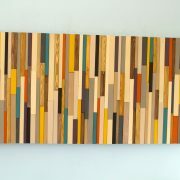 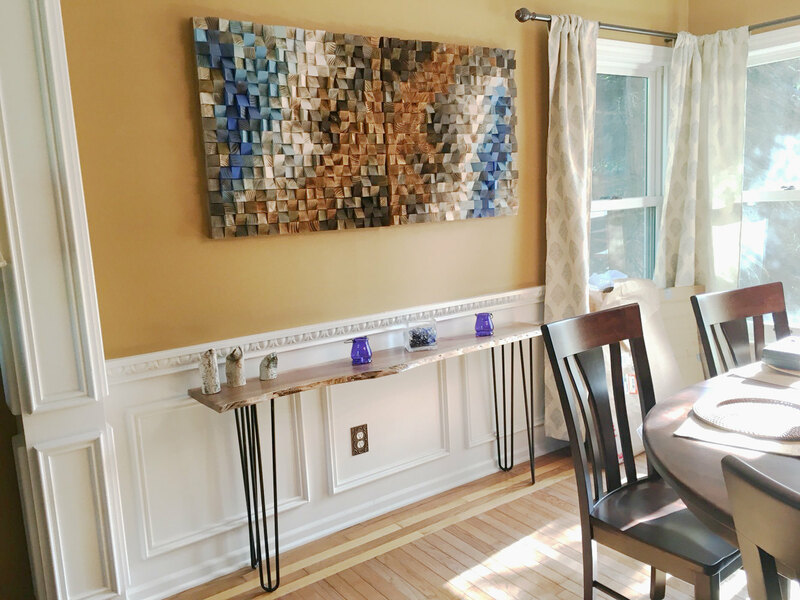 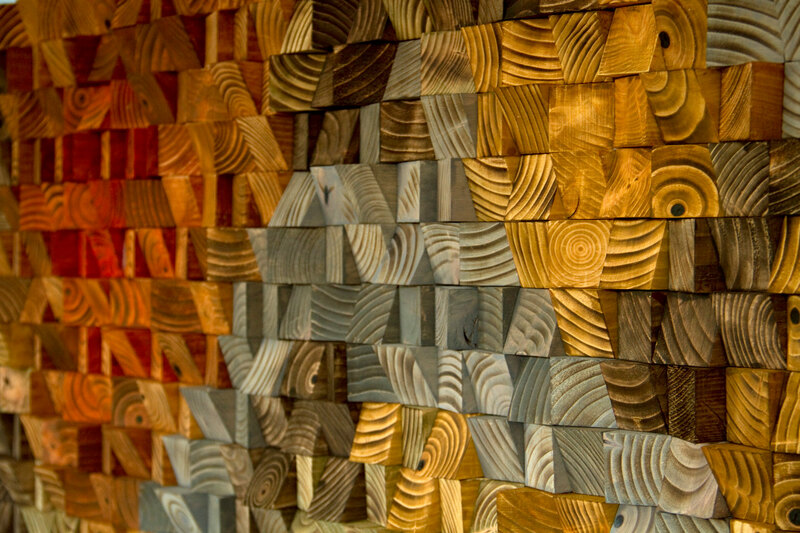 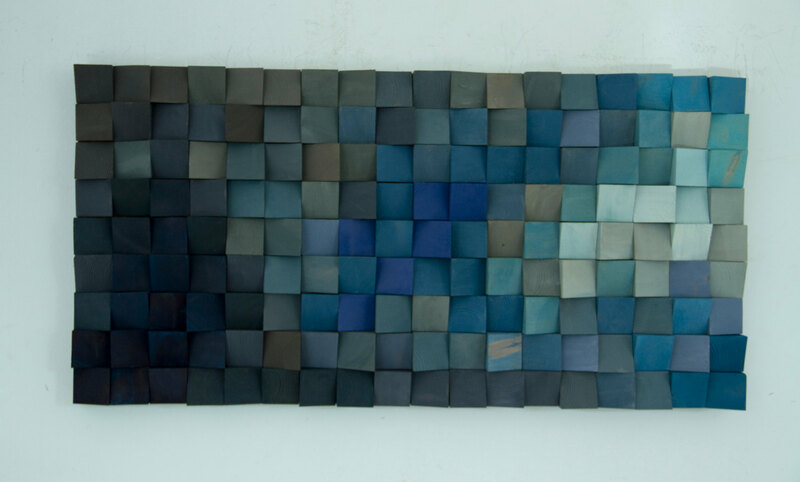 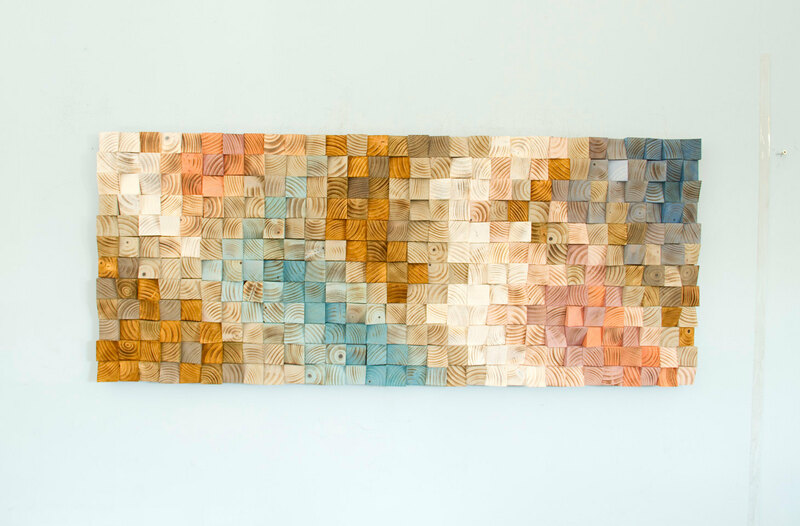 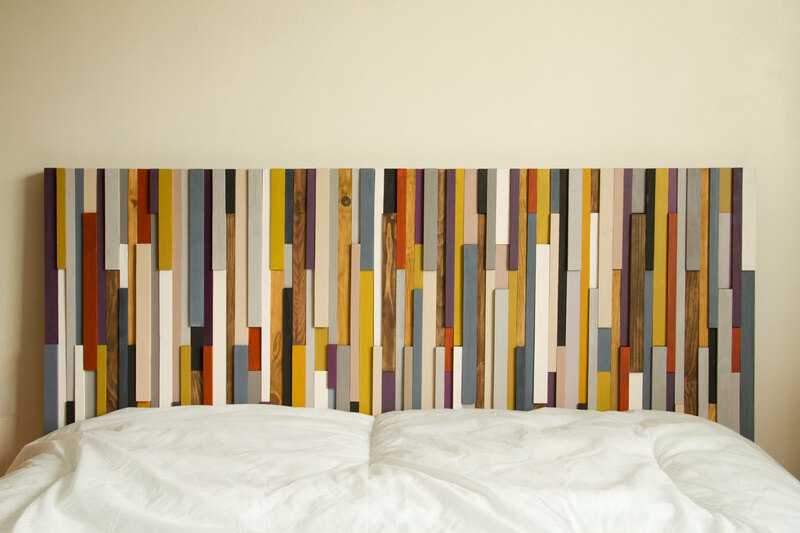 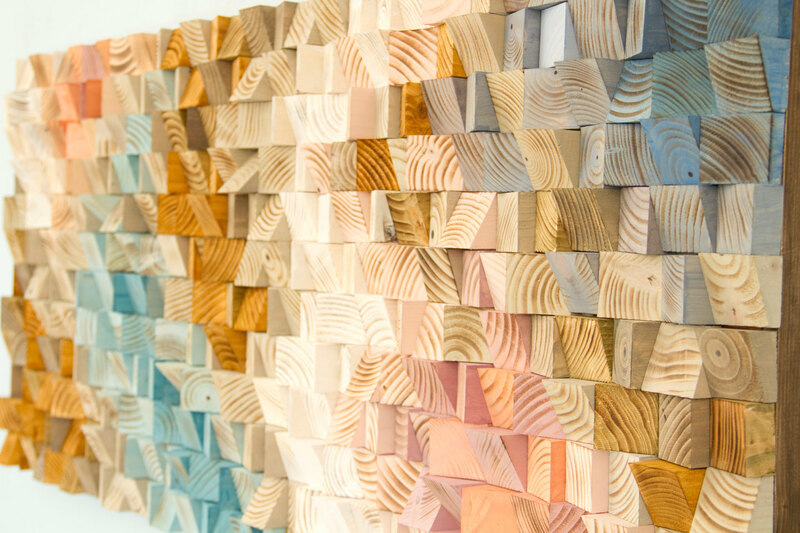 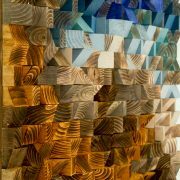 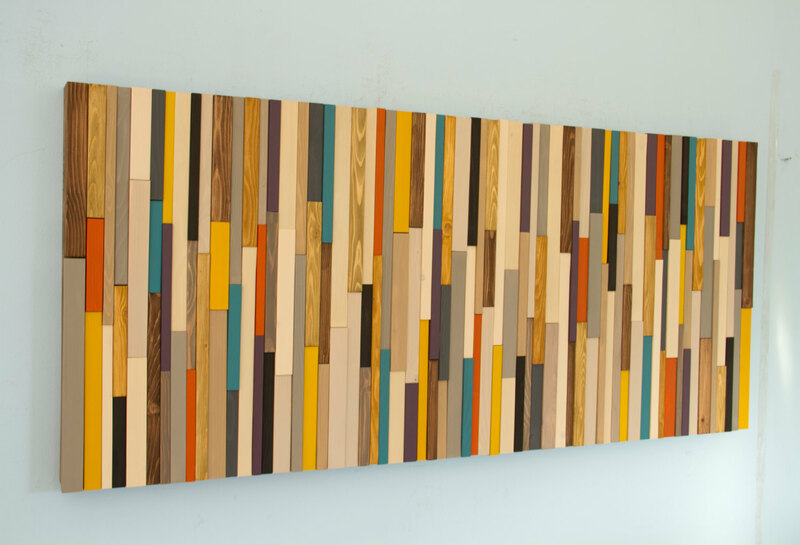 Each wood piece is hand sanded, dyed or painted to receive this modern abstract look piece. 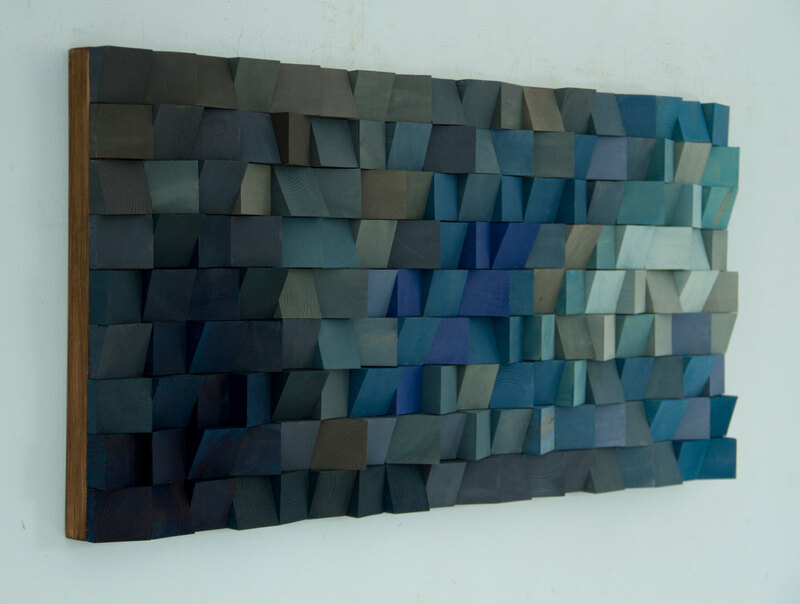 Sculpture is smooth to touch and matt varnish is given to add this perfect protection. 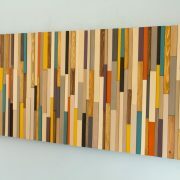 Promotion – 20% off contact me for coupon code. 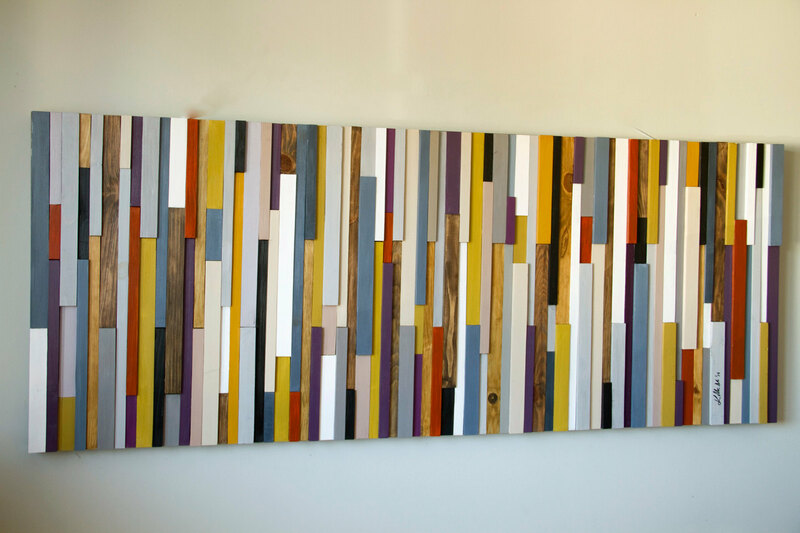 Pictures shows sold piece in size 24" x 54"
Or we can design a piece with any colour and size that suit your interiors. 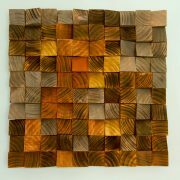 Contact me for estimated designs and sizes.